Superbike Commission made important changes to the 2019 FIM Superbike and Supersport World Championships Regulations. The Superbike Commission composed of Messrs Gregorio Lavilla (WorldSBK Sporting Director, Chairman), Takanao TSUBOUCHI (MSMA) and Paul DUPARC (Deputizing for Rezsö BULCSU & secretary of the meeting), also present Charles HENNEKAM (FIM CTI Coordinator), Scott SMART (FIM WorldSBK Technical Director) and Daniel CARRERA (WorldSBK Executive Director) met at Dorna Headquarters, in Madrid, on 30 November 2018. - The new schedule of practices sessions and races has been reviewed. This important decision has already been press released recently. (re: PR of 11/12/2018). - Forbidding to start machines in the pit box. For Safety reasons it is not permitted to start the engine of a racing motorcycle inside the pit box at any time. Engines must be started in the pit lane, outside of the pit box. Rev limit to be applied (at a different level for 3 vs 4-cylinder engines). This change was initiated by the former Direction of FIM and the Direction of Dorna, who both wished to apply a similar structure to those existing in MotoGP. 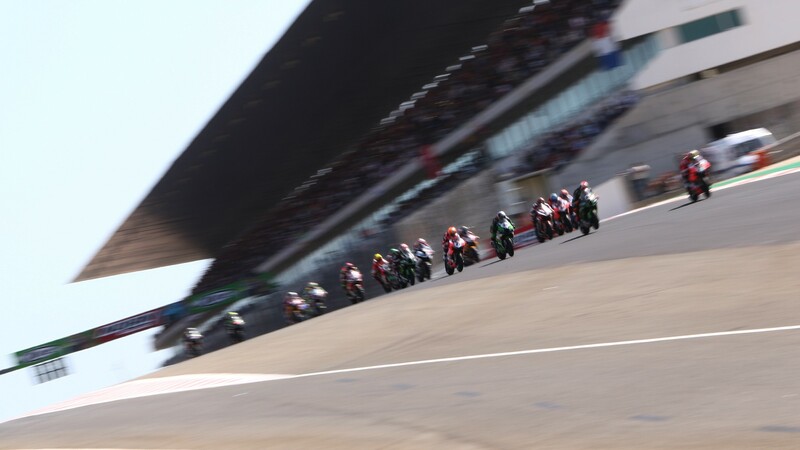 Therefore the WSBK Race Direction will now be only in charge of operational matters, of conducting or changing the format of practices and races. The FIM WSBK Stewards will now be in charge of the disciplinary matters during the event and of adjudicating protests. The FIM Appeal Stewards will have to hear and adjudicate possible appeals on decisions taken by the FIM WSBK Stewards. The standard fine for exceeding the pit lane speed limit will be increased from €150 to €200. The FIM WSBK Stewards will have the possibility to impose larger financial penalties for repeat offences during the same event. The Stewards will also have the right to impose higher fines or further penalties for excessive speed or for multiple repeat offences during the season. For further information, please press here to download the complete PR. The 2019 FIM Superbike & Supersports World Championships Regulations will be available at FIM-LIVE.COM within the next two weeks.